Summer is in full swing! In this month's USHJA News & Updates, learn about the horsemanship challenge for all ages, get in to the team spirit at USHJA Championships, learn about grant and scholarship opportunities, find out who will be attending Pony Finals as USHJA Foundation Gochman Grant recipient, learn about updated USHJA policies aimed at promoting safety in our sport, learn how you can play a role in USHJA governance and more. Read on for all the latest! In light of recent actions by the U.S. Center for SafeSport and US Equestrian related to members of the equestrian community, we want to ensure our members understand that the U.S. Hunter Jumper Association is committed to supporting a culture of safety within the Hunter/Jumper sport. During the last meeting of the USHJA Board of Directors, held May 7-8, 2018, the Board voted to update existing and adopt new policies to reflect the organization’s commitment to safety and further define how the organization will uphold that commitment to its membership. 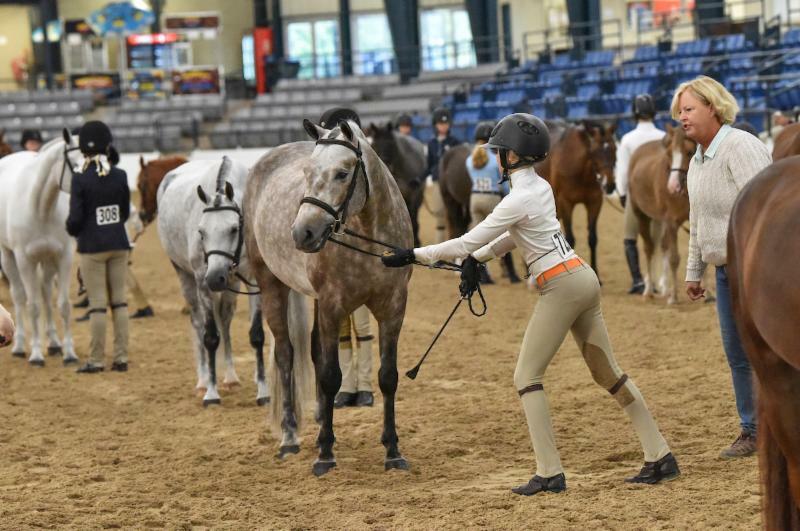 These policies will be effective for the 2019 competition year and are posted on the USHJA website. While many of these policies directly relate to contractors, employees and volunteers, we want you to know that these policies exist to help us maintain a safe sport for all. They include a USHJA Harassment Policy that takes effect immediately; Required Trainings, Screenings and Documentation Policy; and a Background Check and Screening Policy. The USHJA International Hunter Derby and Green Hunter Incentive programs are on pace to set participation and payout records in 2018, having paid out more than $14 million to owners across the two programs since they began. Additionally, the Platinum Performance/USHJA International Hunter Derby Championship and Platinum Performance/USHJA Green Hunter Incentive Championships will once again include payouts to riders based on a Rider Ranking System aimed at encouraging riders new to the program to participate. 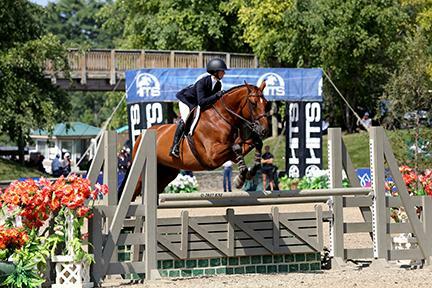 "The Rider Ranking System is important because it gives everyone a chance for a top ribbon and check," said Geoffrey Hesslink, who earned prize money and recognition as overall Reserve Champion and Champion as a Tier II rider at the 2017 USHJA International Hunter Derby. "It allows juniors, amateurs and young professionals to compete alongside our country's top professionals while still separating the awards to keep everyone enticed. It's so nice for everyone to have goals and something to take away from a top championship like this." This year is an election year for several Board of Directors positions—Secretary, Treasurer, and four at-large directors—and we need your help to find the right candidates for the jobs! As a Senior Active or Senior Associate member in good standing, you are eligible to participate in the nomination process for national officers and directors at-large of the Board. 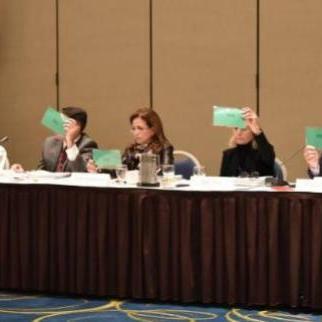 Election of the USHJA Board of Directors (at-large and national officers) is voted on by board members based on input from membership through the nomination process. Member nominations will be open on June 15 –August 15, and we encourage you to nominate those you believe are best for the jobs! As a volunteer led organization, every election is important, and we thank you for helping to identify the very best leaders within our exceptional Hunter/Jumper community. Be on the lookout for an email when nominations open, and click here for more information including a timeline of the election process. 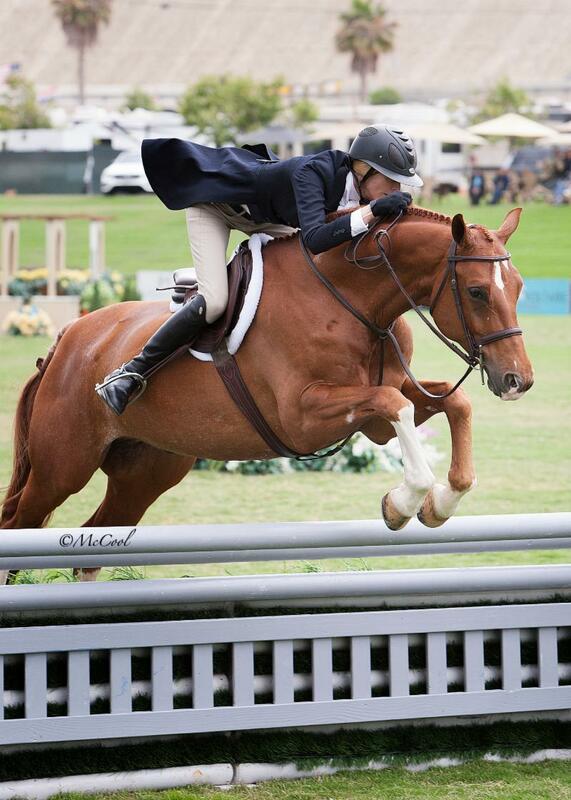 The WCHR West Coast Hunter Spectacular is SUNDAY! 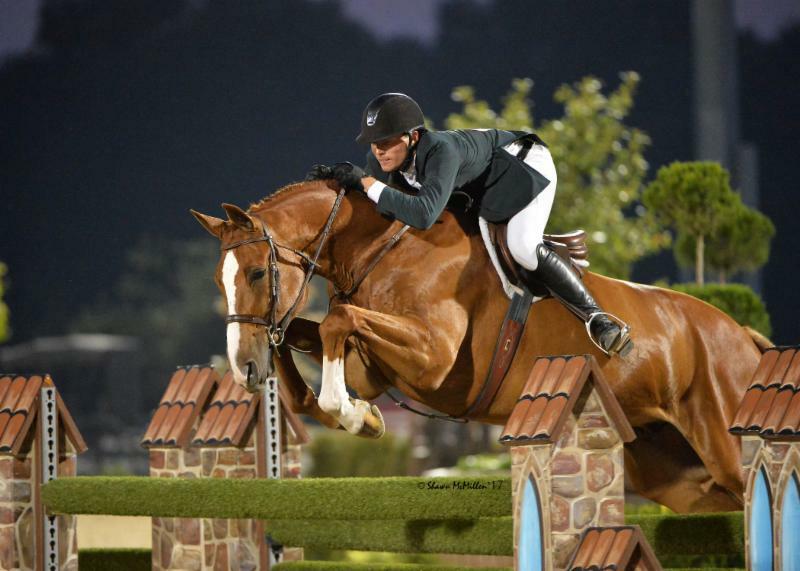 The $25,000 World Championship Hunter Rider West Coast Hunter Spectacular will return to San Juan Capistrano, Calif., on Sunday, June 10, at the Blenheim Equisports June Classic 1. All WCHR members are eligible to participate in this two-round class with fence height options set at 3'6", 3'9" or 4'0". Both rounds are judged by at least two judging panels consisting of two judges each, and the top 12 horses will be called back for the second round from low to high score within their respective heights. Interested in competing in this year's $25,000 West Coast Hunter Spectacular? It's not too late to join as a WCHR member and compete in the Spectacular or other WCHR member events. 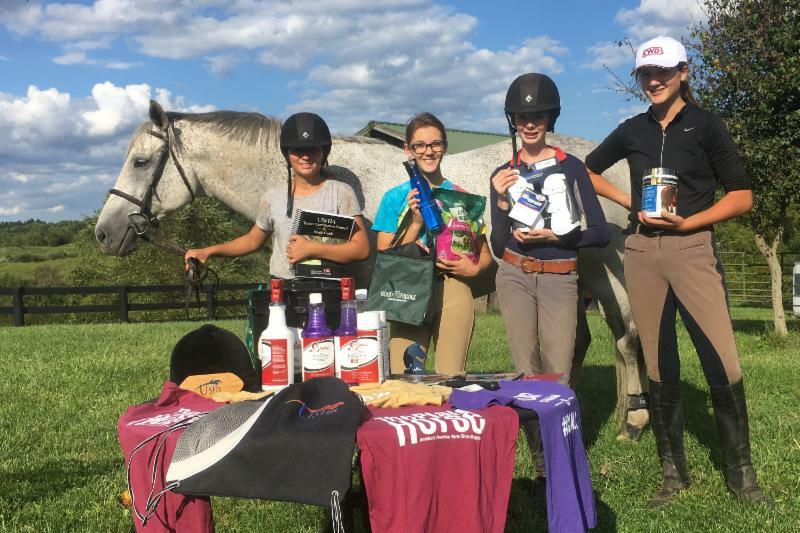 WCHR members also earn points toward year-end awards and qualifying for WCHR Finals, which are held during The Capital Challenge Horse Show in Upper Marlboro, Maryland. Read more about the 2018 WCHR West Coast Hunter Spectacular and follow #WCHRSpectacular for social media coverage. Mark your calendar and click here for more information. Is your barn up for the challenge? The Horsemanship Quiz Stable Challenge, presented by The Plaid Horse, returns June 15, and it's open to all ages! How to Play: To participate, at least three students (adults too!) per trainer must take the online Horsemanship Quiz Challenge Practice Quiz between June 15 and July 15 for their barn to be eligible to win. At the end of the 30-day challenge, the three top scores under each trainer will be averaged to provide an overall score. In the event of a tie, the fourth highest score for that trainer's barn will be added to the average. Additional bonus points will be awarded to youth members ( under the age of 21 per USEF rules), who register for the official Horsemanship Quiz Challenge and complete the Level One and, if they score high enough, the Level Two HQC quiz. Click here for guidance on registering for the Horsemanship Quiz Challenge for bonus points. What You'll Win : The highest scoring trainer per USHJA Zone wins a unique trainer-inspired award package from USHJA and USHJA sponsors. So download the free HQC Study Guide, rally your barn mates, and brush up on your horsemanship knowledge before putting your barn to the ultimate test! How do you prefer to receive information from USHJA? 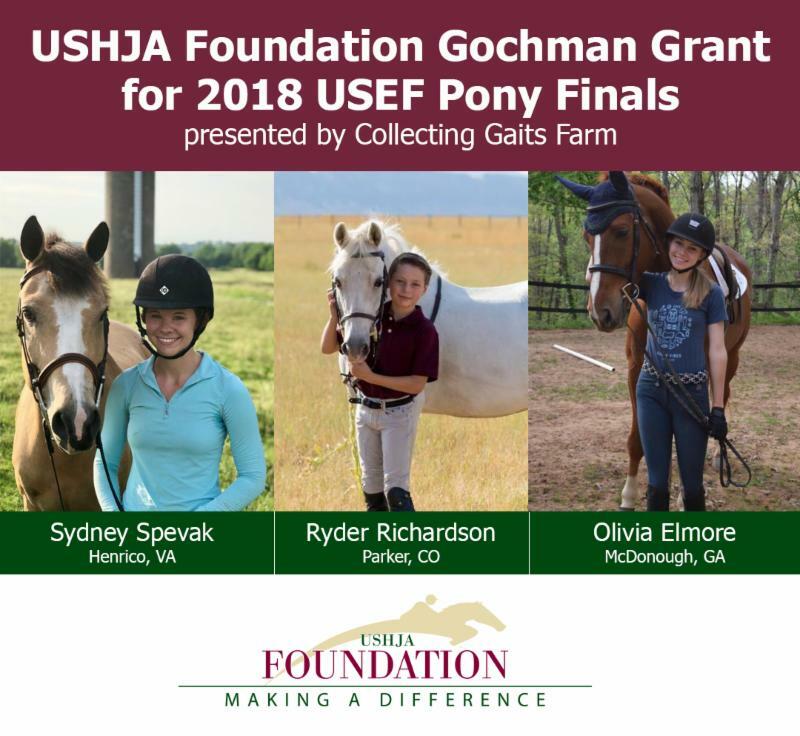 The USHJA Foundation is pleased to award the 2018 Gochman Family Grant to Olivia Elmore of McDonough, Georgia; Ryder Richardson of Parker, Colorado; and Sydney Spevak of Henrico, Virginia. 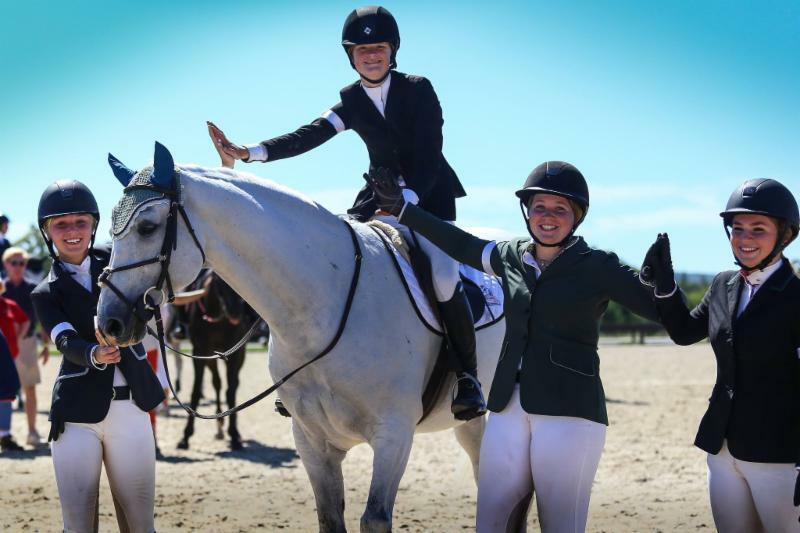 The grant will provide these three young equestrians with the experience of a lifetime at the 2018 USEF Pony Finals presented by Collecting Gaits Farm , which will be held Aug. 7-12, 2018. More FREE Educational Opportunities at USEF Pony Finals! 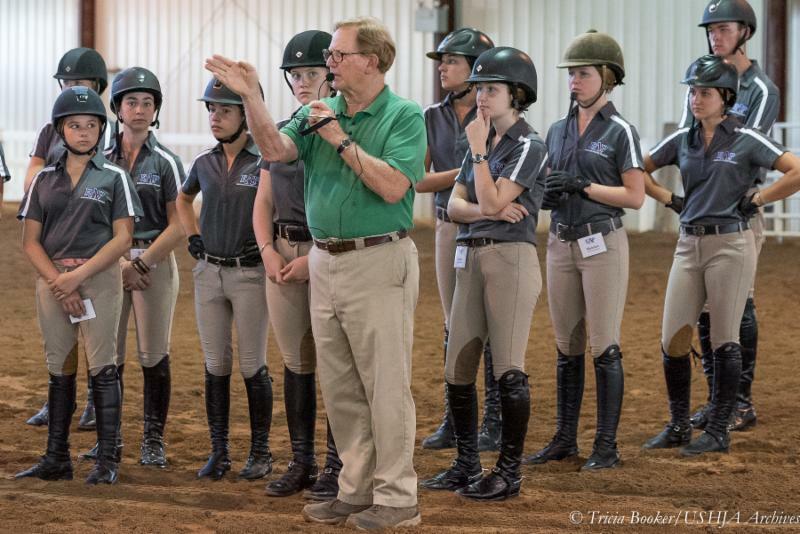 This year, as hundreds of pony riders descend upon the Kentucky Horse Park for the USEF Pony Finals, presented by Collecting Gaits Farm, in August, the U.S. Hunter Jumper Association will offer an expanded menu of educational clinics for both competitors and the general public. Click below to find out what clinics will be offered and how to participate! Just in time for summer travel! Whether you are traveling on vacation or to a competition, let our member discount booking platform help you plan your trip and save big. 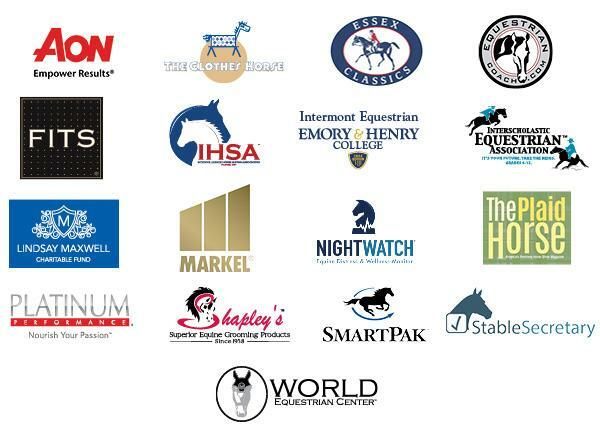 Log in to your USHJA member account to access member only discounts for hotels, travel and entertainment. Get into the team spirit! 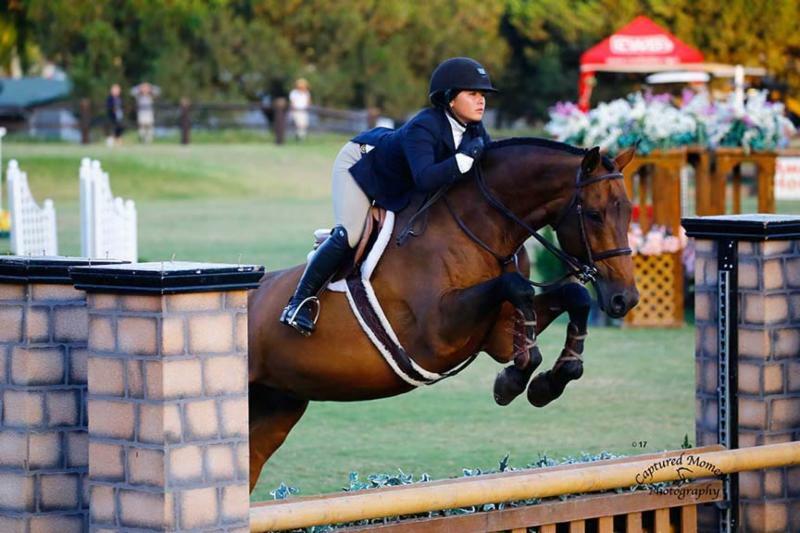 Get into the team spirit at the USHJA Children's and Adult Amateur Hunter Championships, presented by SmartPak, and the USHJA Zone Jumper Team Championships! Use the hashtag #USHJATeams on Facebook and Instagram to wish friends, family, students and clients good luck and to share your team experience with us! Congratulations and good luck, EAP Athletes! Stay tuned to see who else will be participating in future sessions. 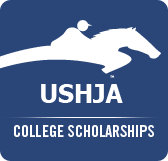 Educational Grants/Scholarships for USHJA members pursuing higher education ( July 1 deadline). 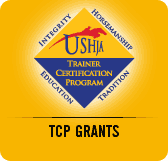 Trainer Certification Program Grants for professionals seeking to become a USHJA Certified Trainer ( October 1 deadline). USHJA Foundation J.T. Tallon Memorial Equitation Grant offering $1,000 to one Junior rider who has qualified for a national equitation championship at a fence height of 3' or higher ( August 1 deadline). Grants and scholarships vary by zone. To find what's available in your area, go to ushja.org/zones and click on your zone. For more information on the USHJA Foundation J.T. Tallon Memorial Equitation Grant, visit www.ushjafoundation.org/Tallon. 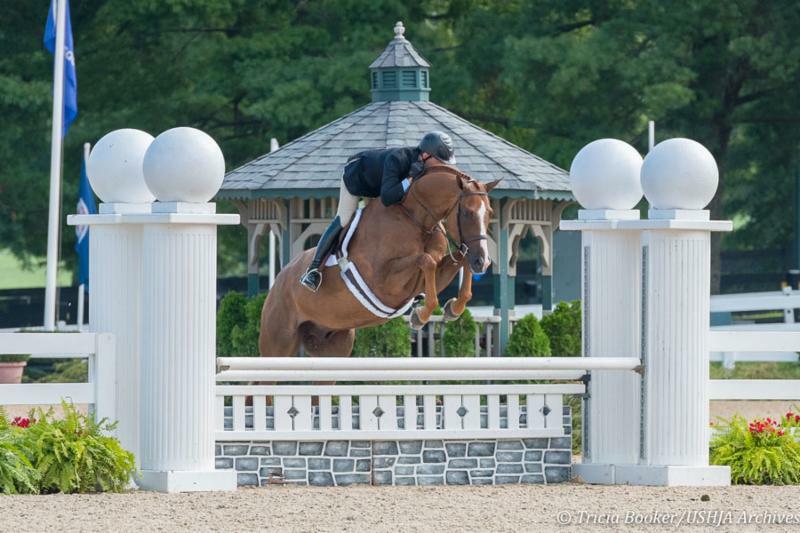 The USHJA Hunterdon Cup Equitation Classic , presented by Intermont Equestrian at Emory & Henry College , is a three-round class that combines the precision of equitation and handiness of hunters over a course set at 3'6". Held during the East and West Coast USEF Junior Hunter National Championships, the Hunterdon Cup is open to any rider that is an Active USHJA junior member, at the time of the competition, and has won a USEF Medal, ASPCA Maclay, USEF Show Jumping Talent Search, or Overall WIHS Equitation Classic during the qualifying year of June 1, 2017 to May 31, 2018. Click below for more information including a list of riders qualified for this year's class. Photo credits: Shawn McMillen Photography, Tricia Booker, Susan Deal, McCool Photography, Jump Media, Kristin Rover, ESI Photography, Captured Moment Photography.